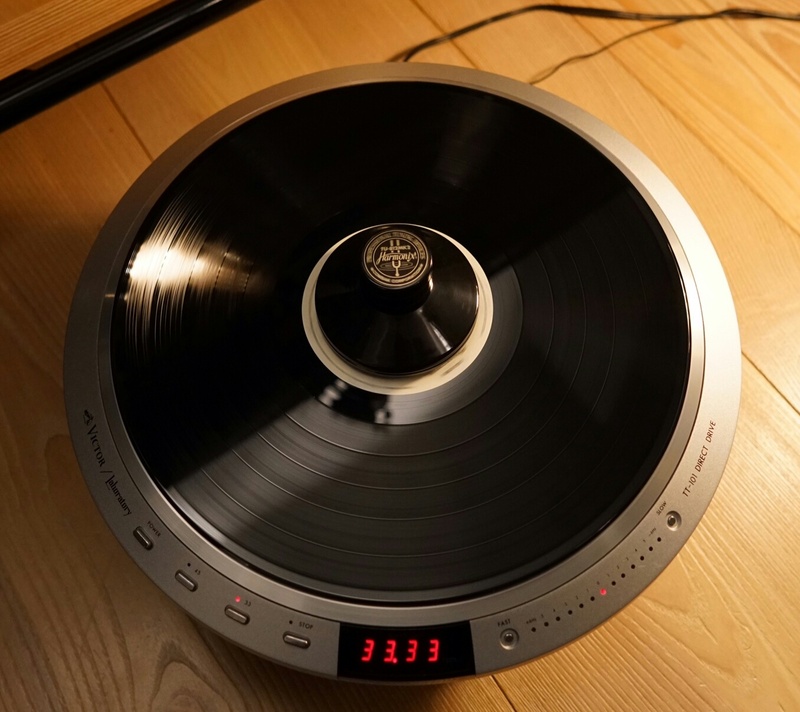 why using this headline for a turntable project? Because four nations were involved when building up my junk Victor TT -101 ending in a complete revision and leading to maybe one of the best TT-101 in existence. Having aquired a junk Victor table on a Canadian platform in May 2015 it took me nearly nine months to finish the project. In the beginning it was ” Mr. Victor”, our friend in Australia (see also “The Alternate Pariah”, and “Copernicus was right” here on AudioCirc ), who motivated me going for another DD and who came up with the suggestion buying the Canadian 101 wreck. I wasn’t afraid doing so despite the whole world is telling you that the Victor TT-101 is one of the most complex and very hard to service units on the planet. My former experience with the perfectly rebuild Nakamichi T-1000 table -which was my comrade for quite some time- taught me “everything is possible” even when leaking batteries are nearly detoriating the circuit paths. I remember that the Canadian seller asked me three months later if I had succeeded with the re-build? When i told him that we had succesfully levelled up the sunken motor and we just entered the electric arena he showed some kind of relief having made the correct decison selling the unit to me. they couldn’t get a reliable speed indicator signal from the motor. Therefore the motor was taken apart and maintained. A signal grommet which is affecting the resonance signal (rotation speed clock) new positioned and adjusted. These measurements guaranteed a stable signal (revolution cycle). 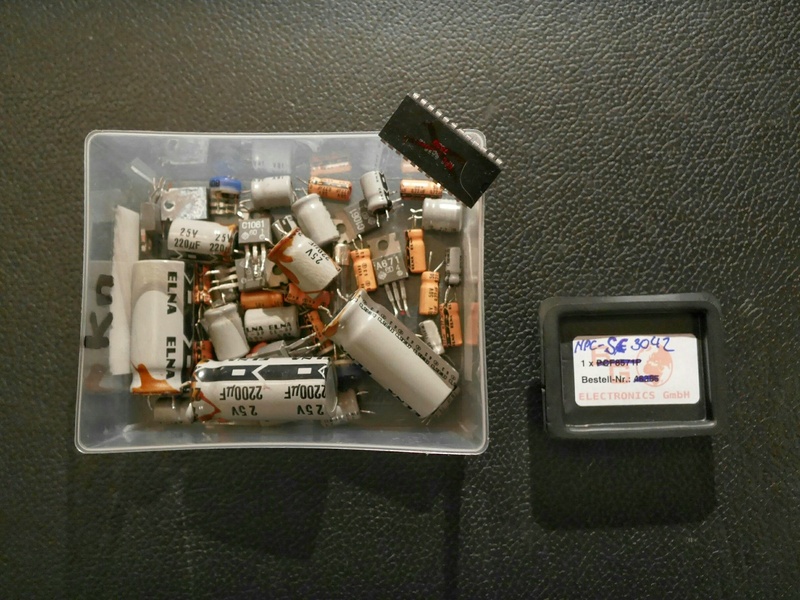 Next was the replacement of all electrolyte capacitors. 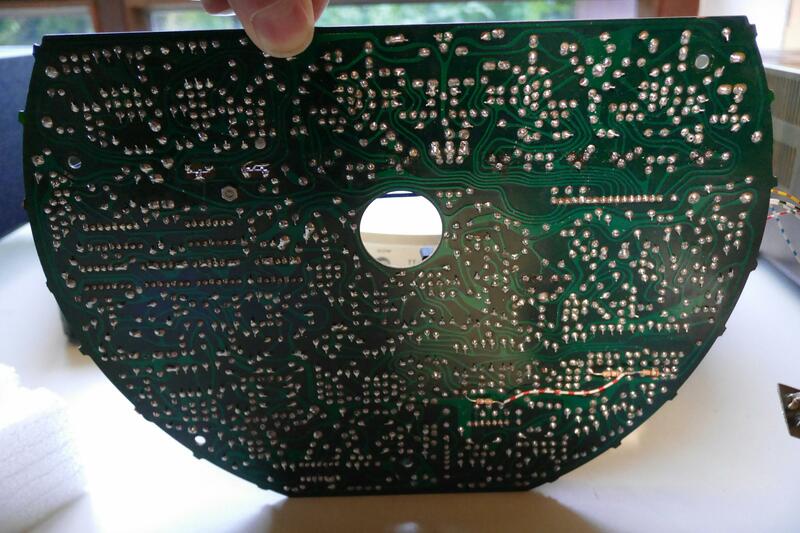 In addition all soldering positions were newly soldered to avoid any malefunction in the future. Many power transistors were defect. Signal distortion and failure was the result. In the end all power transistors had to be replaced with new ones. Also the main processor for steering the motor was deficient. They got no 100Hz reference signal which is absolutely essential. Using a substitution circuit (with limited functionality) it was possible to start a simulation process thus allowing to work further on the electronic issues. Nevertheless we were confronted with quite some delay as the Chinese source for a new steering chip did not work. We were told the parcel was lost. As I was always in contact with Mr. Victor at that time he came up with the idea asking one of our “analogue community friends” in USA if he could send one of the chips he bought from Hongkong some time ago. It was the moment when Lewis went onto the stage. With no arguments he quickly sent me two chips. And this was the breakthrough in the 101-rebuild project. Many thank to this fine man!!! In the course of the next project works all functions and correlations of the electronics were examined with extensive measurement procedures. Hereby some more transistors, diods, trimming controllers were replaced, signal processment optimized and adjusted. In the end we were facing an idependent existance of an important reset signal influencing and disturbing the process by self-oscillations. Two transistors (X631 and X630) and a bipolar capacitor (C617) had to be replaced. The transistors showed a low leak flow and worked imprecise. The last and final steps included a precision calibration of the revolution speed by using a frequency counter coming with a rubidium frequency and GPS disciplined tool enabling a precision of 12 digits behind the point. a first listening session today left me stunning. what a fantastic sound this table is enabling! 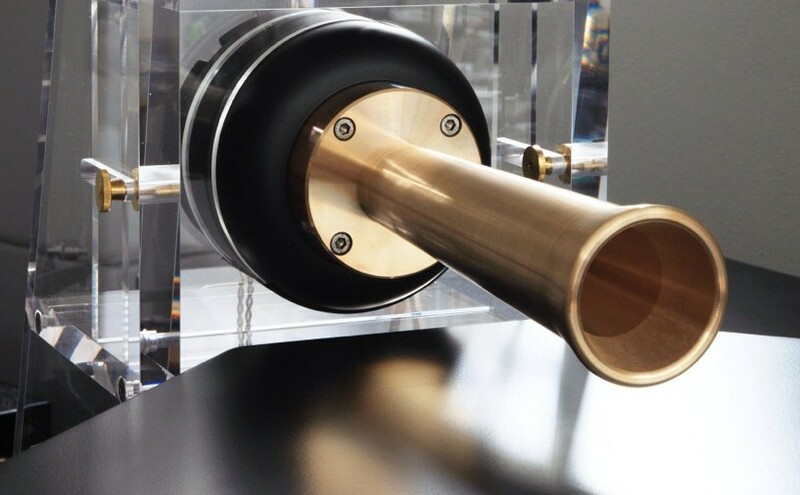 a dynamical, balanced, precise and very detailed sound with a quiet background! not heavy on the warm side but…very very well balanced with a nice bass. 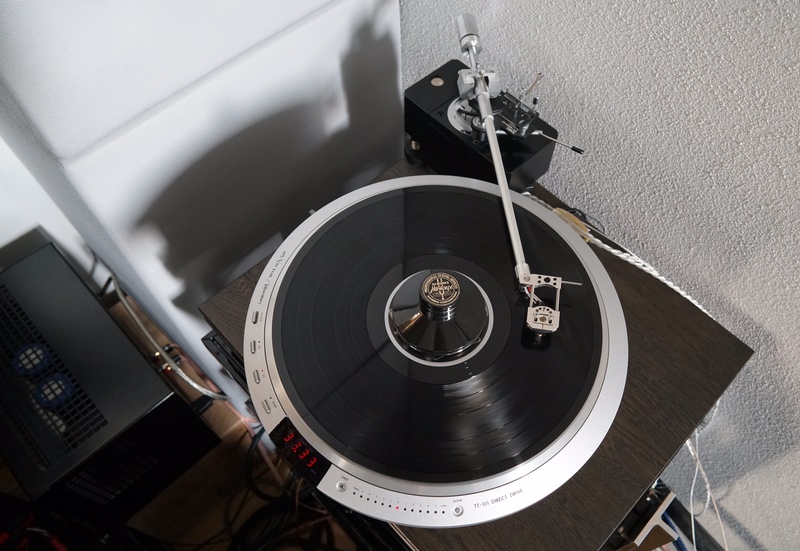 I ran it with the SAEC WE 8000 and the Acoustical Systems Astron into the Zanden MKII phono pre, via Crystal Cable Dream into my ARC 40 Anniversary Reference preamp and into the WAVACS (also using Crystal Cable Dream). I attended Fourplays very first concert in an intimate small old theatre setting. It was great fun and of course excellent. Here in the states the table was often fitted with a large laquered rosewood plinth which was beautiful. Many used them with SME 3012’s, a very good combination..
It’s always very rewarding when you do a rebuild and then can enjoy the results of your patience and hard work. I have noticed that some times you use a record clamp and sometimes you don’t. 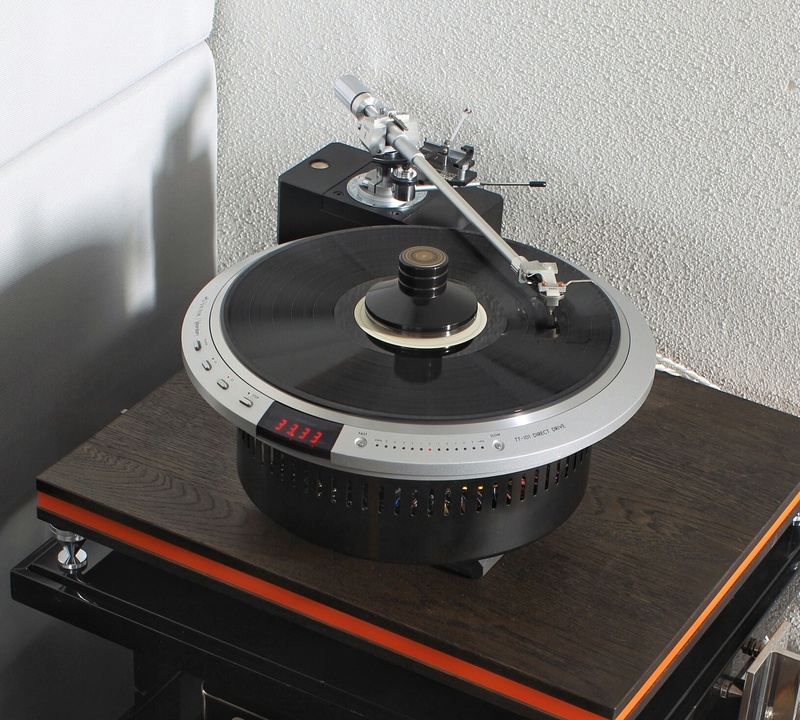 Is the decision to use a clamp or weight based on the turntable or the record? Welcome to the lost world of über Japanese perfect speed control. the chip is labelled NPC SC3042, 7642 – assembled in Hongkong. I got it from a friend in Washington, D.C. The 101 plays like a GIANT! You are a total star. BTW how many should one order?